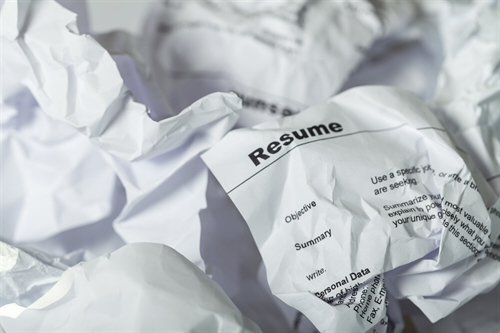 Work with the only Master Resume Writer in St. Louis! Noteworthy Resume & Career Services offers comprehensive career management services to enhance your continuing success over a lifetime of work. An office location where we meet with you in person makes us unique in the St. Louis career services market. If you prefer face-to-face interaction over an impersonal online experience, you’ll love working one-on-one with Ellie Vargo, Master Resume Writer and Certified Career Management Coach. Our office is conveniently located at the corner of Mason and Clayton Roads in West St. Louis County (13422 Clayton Road, Ste. 220, opposite the Town and Country fire station). Having served thousands of job seekers in St. Louis and beyond discreetly and professionally over 20 years, we are prepared to do the same for you. Ready to take charge of your career? Contact us now! Simply, because it takes more than wishes to make career dreams come true. Many job seekers are totally unprepared to compete effectively in today’s employment market. Technology has complicated and depersonalized the process. Partnering with a savvy career industry professional who knows current trends will speed the process and soften your landing. We can save you months of fruitless, frustrating and stressful searching. Each project we accept is customized to the job seeker's unique individual needs and optimal marketing strategy. Therefore, pricing is individual and is based on 1) level of position desired; 2) complexity of background; 3) hiring issues to overcome; 4) income desired; 5) education and experience. Our pricing starts at $450 for a resume and cover letter appropriate for an entry-level college graduate with minimal work experience. For your convenience, we accept American Express, Discover, MasterCard and Visa. Is your service provider a typing service or secretarial type of operation that formats your resume but offers no professional writing services? Expect to pay $29-$99 and up. Is the writer an Internet-based "Resume Mill" cookie-cutter type of operation with minimal personal service and low level expertise? Expect to pay $49-$199 and up. Is the writer uncertified, offering less than 3 years' experience, an overseas writer with sketchy English, or lower skill level type of operator? Expect to pay $199-$299 and up. Is the writer certified, offering 5+ years of experience, attending annual conferences, with a proven good reputation on LinkedIn and Google, and recent testimonials? Expect to pay $399-$599 and up. Is the writer that develops your resume part of an upscale nationally acclaimed firm and published book author, or top-level service provider catering primarily to executives? Expect to pay $599-$999 and up. Do your due diligence. Always verify a writer's credentials and reputation through referrals and online reputation search. Ask to speak directly with the writer to ascertain whether or not he or she meets your needs and expectations. Best wishes in finding the best possible value in a resume writer or other career professional . . . . This may be the most important decision you'll make this year, and one of the very few purchases that can more than pay for itself in a few weeks on your new job! …As you know, I was a bit apprehensive in going on an interview after 28 years with the same company. You helped me to alleviate those fears. I cannot begin to thank you for all the extra support, personalized service and follow through you offered while attending to every detail leading up to starting a terrific new job and career! You’re the GREATEST!